Abbey Thoroughbreds is a premium racehorse spelling and breeding property located on rich alluvial river flats in the heart of Upper Hunter Valley thoroughbred country, NSW. Abbey Thoroughbreds offers high quality racehorse spelling, broodmare agistment services, sale preparation and pre-training programs. 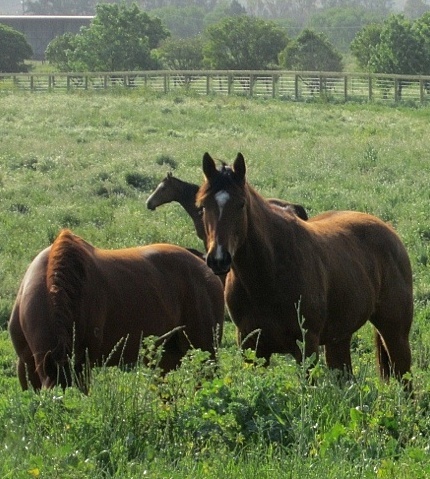 Abbey Thoroughbreds has been purpose built to meet the needs of thoroughbreds using only high quality fencing and materials. Abbey Thoroughbreds is owned and run by highly experienced horse people who understand that the safety and wellbeing of your valuable thoroughbred investment is the highest priority. Most importantly – Abbey Thoroughbreds offers these facilities and services at a price that won’t break the bank! We encourage you to call us and arrange a visit so that you can inspect the facilities available for your valuable horses.